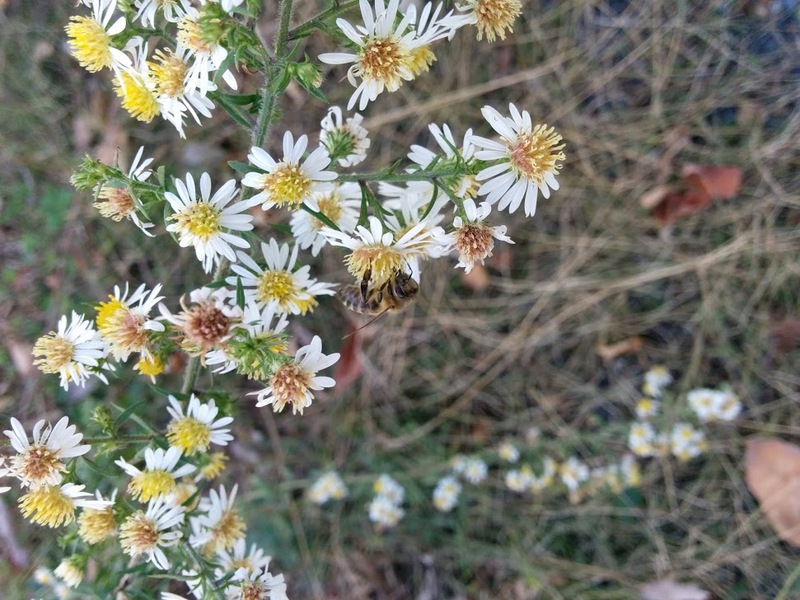 At this time of year, the only remaining nectar producing plants are a few in the Asteraceae family and some straggling goldenrod. Pull the empty hivetop feeders, place some newspaper on top of the frames and pile some dry sugar. Moisture is an enemy within hive over winter, but so is wind penetration. A medium ground has to be carefully reached where condensation can be whisked away by limited airflow. Sew together a hive wrap insulating blanket. I’ll post my cost-effective method for insulting winter hives once I’ve received my raw materials! Wrapping the hive for winter is likely not necessary in my region. However everything on a farm boils down to energy management. The less energy spent on keeping the cluster warm over winter translates into less honey consumption. This both extends the winter resources as well as lessens honey consumption. The latter point translates into more honey remaining in the spring, thus less need to refill the frames consumed over winter, thus allowing the bees to start storing excess honey sooner, thus increasing the harvest of the following year.